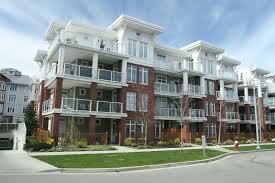 A condominium is a form of home ownership in which individual units of a larger complex are sold, not rented. Contrary to popular belief, the word “condominium” does not apply to the type of unit itself, but to the legal ownership arrangement. Those who purchase units in a condominium technically own everything from their walls inward. All individual owners have shared rights to most common areas, such as hallways, pools and grounds, parking lots and roadways. Maintenance of those areas becomes the responsibility of a condominium association. Every owner owns a share of interest in the condo association, plus an obligation to pay monthly dues or special fees for larger maintenance problems. People who benefit most from condo living are those who don’t mind having close neighbours and people who don’t want to be bothered with outside maintenance or grounds keeping. One thing to be aware of when living in a condo setting is the political reality of the owners’ association. Decisions may be made in monthly meetings that will cost individual owners more money, but not necessarily deliver equal benefits for all. It can be nearly impossible not to be impacted by at least one condo board decision and it is to your benefit to participate in meetings and discussions. A condominium is a form of real property ownership that has two distinct parts: you own your condominium unit to which you get a title and you also jointly own common property with the other unit owners in your complex. Some examples of residential condominiums are an apartment within an apartment building, a duplex, a bungalow or a townhouse. Non-residential condominiums may be commercial outlets, resorts, timeshares and bare land units. The exact boundaries of each condominium unit are identified in a condominium plan. When you buy a unit you acquire title to a space that is usually bound by walls, floors and ceilings. You are responsible for the maintenance, repair and remodelling of your unit. However, you may need the board’s permission to remodel your unit if the changes impact the common property. The common property in a condominium complex is everything that is not within a unit identified in the condominium plan. It usually includes the space and facilities outside the condominium units, such as roofs, front steps, sidewalks, eaves, driveways, outside electrical systems and landscaped areas. Your share of the costs for the maintenance and repair of the common property is determined by your unit factor. Insurance on the entire structure of the condominium complex is the responsibility of the condominium corporation. The corporation must have replacement cost value insurance on the property for all perils covered by standard insurance policies. Check the policy for exclusions. There must also be insurance for any liability incurred by the board or corporation when carrying out their duties and responsibilities. You will need to buy your own insurance to cover your personal property, personal liability and perhaps any changes made to your unit. Check the bylaws to see if unit improvements are covered under the corporation’s policy. Ask your insurance agent or broker for more information. The condominium corporation can give you a certificate of insurance that provides your agent or broker with information about the extent of the corporation’s insurance policy. A condominium corporation is created when the developer registers the condominium plan with Saskatchewan’s Land Titles Office. The condominium corporation consists of the owners of all the units identified in the condominium plan. As a legal entity it can sue for damages to the common property and it can be sued regarding any matter for which the owners are jointly liable. An agent or employee of the corporation can act on behalf of the corporation. Bylaws regulate the corporation. They provide for the control, management and administration of the units, the common property and any other real and personal property owned by the corporation. A board of directors is elected by the unit owners to carry out the condominium corporation’s responsibilities. Condominium bylaws vary greatly. Some for example, may not allow children or pets to live in the complex. In other complexes if you wish to remodel the interior of your unit you may have to seek approval from the board of directors if the common property or building structure is affected. Keep a copy of any correspondence you have with the board. Make sure you know what bylaws govern the condominium you own and your rights and responsibilities. Owners can change the bylaws to suit their particular complex by passing a motion to adopt the changes. A special resolution, requiring the approval of 75% of the owners named on the unit titles and representing not less than 7,500 unit factors is required to make any changes to the bylaws. Changes are effective after the board registers the changes at a Land Titles Office. Owners, and everyone occupying a unit, are bound by the bylaws of the corporation. If there is a conflict between the bylaws and the Condominium Property Act, the Act applies. The Act and specific bylaws give the corporation the right to impose sanctions, like fines, on owners who fail to comply with the bylaws. Every condominium corporation has a board of directors elected by the owners to carry out the corporation’s responsibilities. The bylaws outline how many directors sit on the board, how often they are elected, and if there are any eligibility requirements. Directors are volunteers who agree to take on the responsibility of running the condominium for at least 1 term. Two thirds of the members of the board must be unit owners or mortgagees, unless otherwise stated in the bylaws. The board conducts its business by holding regular meetings, usually quarterly. The board must report to the owners at annual general meetings or extraordinary general meetings. Each director has the responsibility to act honestly and in good faith in exercising the power and in discharging the duties of the board. Every director must declare any conflict of interest and not vote on matters that may involve a conflict. It is important to remember that the board of directors must make decisions in the best interests of the entire corporation and all the owners, which will sometimes conflict with what individual owners might want to do. • Abiding by and enforcing the Act, regulation and corporation’s bylaws. • Managing, administrating and maintaining the common property. • Setting and collecting condominium contributions and dealing with the financial administration of the corporation (financial statements must be prepared according to generally accepted accounting practices). • Preparing and approving an annual operating budget and reserve fund budget and providing those budgets to the owners before the annual general meeting. • Placing and maintaining insurance on the property for perils covered by standard insurance policies or any other perils identified in the bylaws and the regulation. • Placing and maintaining liability insurance for the board or corporation with respect to carrying out their duties and responsibilities. • Establishing, maintaining and administering the capital reserve fund and preparing and distributing an annual report on the reserve fund to the owners. • Conducting a reserve fund study every five years and preparing a reserve fund plan. 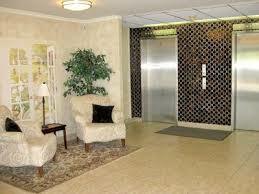 • Hiring and supervising employees, contractors and a condominium manager or management company. • Reviewing and updating the bylaws and with proper notice, presenting the changes to the owners for approval. 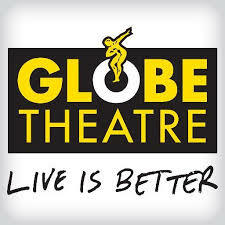 • Holding an annual general meeting and reporting on their stewardship of the corporation. • Responding, within 10 days, to a written request from an owner, purchaser, or a mortgagee of a unit, for information on contributions due and payable, copies of agreements, bylaws, minutes of the board or general meetings, budget, recent financial statements, insurance, and the reserve fund study report or plan or annual update (if available), as required under the Act and the regulation. The board may charge a reasonable fee for these documents. The Property Manager is hired by the Board to carry out the individuals have many responsibilities to the community itself and should be chosen by the board with great care, as they will be directly involved with the owners themselves. Ideally your community will benefit if this person has strong social interaction skills and is well liked within the community. This serves to build strong ties between unit owners and the board, insuring smooth relationships and ease of communication. Since one of the most important responsibilities of condo management is that of a liaison between the board of directors and the owners of the units, it stands to reason that this person will be the one that the unit owners go to for general correspondence. Representing the collective group of homeowners is no small task. When there is a discrepancy or an emergency of some kind, it is the responsibility of the management to be on the front lines, resolving the issue and being the person in charge to insure that legally as well as mechanically, the homeowners have someone on their side. Condo management also has a responsibility to supervise all employees of the property, including maintenance workers, repairmen of various kinds and contracted labor. They need to be paid, their payroll taxes need to be taken out, and the financial stability of the property itself must be tended to and secured. This person is also responsible for keeping records of all correspondence with unit owners and repair persons, and keeping an account of all funds that are spent, what they are spent on and who they are paid to. Even if the property itself is small, this can be a large task to complete. If unit owners question the validity or feasibility of certain rules or restrictions that have been created within the community, condo management is who they will go to in order to get the ball rolling to either amend or completely do away with the rule. The manager represents the unit owners in front of the board in every instance. It is vital that they are holding the best interests of the unit owners firmly in mind. In addition, creating the annual budget for the property is yet another one of the responsibilities that condo management may be required to take on. It takes a great deal of energy, time and work to keep an entire condominium community running smoothly and operating sufficiently at all levels. Consideration must be given to financial responsibilities, maintenance responsibilities, emergency actions and unit owner/board relations. Finding someone with a strong, genuine work ethic who understands this type of responsibility can be challenging. Seek out bids from many different candidates, and take your time making the decision. Award this type of responsibility only after a thorough background search and many interviews have been conducted. Finding the right person for the job is more important than filling an empty seat. The unit owners will surely agree. The condo corporation needs money to meet its financial obligations – paying for insurance premiums, snow removal, grass cutting, repairs to common property, reserve fund, etc. The main source of income for the corporation is the money paid by the owners in their condo contributions (often referred to as a condo fee). Contributions are normally set annually and paid monthly, however the board can levy special assessments (1 or more lump sums) if the corporation needs to raise extra funds to meet its obligations. The board sets contributions by taking into consideration the budgeted needs of the corporation and the unit factors (for each unit). Corporations can change the formula for allocating condominium contributions, if the owners pass a special resolution to amend the bylaws. Make sure you know how your condominium contributions are calculated. Be aware that condominium contributions can and do go up! A condominium corporation has the right to collect unpaid condominium contributions. • Ask the owner’s mortgage company to pay the outstanding amounts and add it to the owner’s mortgage. • Require an owner’s tenant to pay the monthly rent to the corporation to cover the unpaid condominium contributions. • File a caveat against the title to the unit at the owner’s expense. • Charge interest (up to 18% per year on outstanding amounts). • Sue the owner for all outstanding contributions, interest and its full legal fees. • Foreclose on the title to the unit. The board of directors, elected by the owners, makes most of the decisions on the running of the corporation. As an owner of a unit you have the right and obligation to vote. Your voting rights are determined by the Condominium Property Act, the bylaws of your condominium corporation and by the unit factor for your condominium unit. At most general meetings, votes are conducted by a show of hands. The bylaws clarify who has the right to vote if more than 1 person owns the unit. Bylaws permit owners to ask for poll votes at meetings. In a poll vote the person’s share of the unit factor assigned to the unit determines the weight of that owner’s vote. You may exercise your right to vote personally or by proxy. If you have a mortgage, the first mortgagee may have the right to vote in your place if it gives the corporation written notice of the mortgage. If you owe money to the corporation for 30 days or more on the day before a vote, you lose your right to vote. Owners can vote on matters presented at any general meeting and on bylaw changes, changes to the common property and other matters permitted under the Act, regulation and the bylaws. It is important that owners vote to elect the board of directors and to change the bylaws. The Condominium Property Act requires that condo corporations establish and maintain a capital replacement reserve fund to provide for major repairs and replacement of property and common property owned by the corporation. As buildings age they need to be repaired and maintained e.g. the roof of the complex needs to be replaced. The same is true of other parts of the common property such as the asphalt in the parking lot, underground utilities, or services and landscaping. Condo owners must pay for the repair or replacement costs of the property owned by the corporation. The reserve fund is not used for repairs or replacements that are done annually. Condo corporations registered before September 1, 2000 must have completed a reserve fund study and a reserve fund plan by September 2002. Reserve fund studies must be conducted every 5 years. Condo corporations registered after Sept. 1, 2000, have 2 years from the registration date to do a reserve fund study and approve a plan. The Act gives the board the responsibility and power to make decisions around the reserve fund. Although a responsible board will provide information to and obtain input from the owners, it need not consult the owners before making decisions on the reserve fund. • Engage a qualified person to conduct and prepare a reserve fund study. • Receive a reserve fund report from the qualified person. • Prepare and adopt a reserve fund plan. • Provide a copy of the approved reserve fund plan to the owners before implementing the plan. • Maintain the reserve fund at an appropriate level so that the corporation can meet the statutory requirements. • Maintain the reserve fund in a separate trust bank account and not combine the funds with other corporation funds except when bills are paid under the reserve fund plan and ensure all managers or other persons handling the corporation money do the same. • Prepare and provide to the owners, before or at the time of giving notice of every annual general meeting, an annual report on the reserve fund; including the opening balance, money in and out, where the income came from, what money was spent during the year and the list of property repaired or replaced and the costs incurred for the repair or replacement. • Not use the reserve fund for “improvements” unless the owners vote by special resolution to allow it (improvements are normally changes, enhancements, alterations or additions to the common property or property owned by the Corporation which are not listed in the reserve fund study report). How much money should be in the reserve fund? Each condo corporation will have a different amount in its reserve fund. The corporation determines how much money it should have in its reserve fund by completing a reserve fund study. The reserve fund study is prepared for use by the condo board, owners and buyers. It is not reviewed by the government. How is the reserve fund funded? • Increasing condo contributions (permanently or for a set period). • Levying special assessments (immediately or in the future). • Using any combination of the above requirements. This gives the corporation maximum flexibility as to how and when to deal with repair and replacement costs, while at the same time enabling it to deal with any potential surprises and undue hardship for owners. For example, if the corporation does not have enough money in the reserve fund to cover significant repairs or incurs other large unexpected expenses, the board may require each condominium owner to pay a special assessment to cover the costs. • identify what property may need to be repaired or replaced within the next 25 years (create an inventory). • assess the present condition of the property and estimate when the property will need to be replaced or repaired. • estimate the costs of repair or replacement or the property, at a cost no less than current costs. • identify the life expectancy of the component when it is repaired or replaced. • identify the current level of funds in the reserve fund, if any. • recommend the amount of money, if any, that should be included in or added to the reserve fund. • describe the basis for determining the current level of funds and recommend the amount of money required. Only a “qualified person” can do a reserve fund study. • The operation and maintenance of depreciating property. • Vote in matters presented to the owners for a vote, provided your condo fees are current. • Access common areas, subject to the bylaws. • Obtain information on the management or administration of the corporation. • Use mediation, arbitration or court action to resolve disputes with the corporation, the board or other owners. • Legally challenge improper conduct of a developer, condominium corporation, employee of a corporation, director, or other owner. • To inform yourself about the Act, the regulation, the bylaws, the policies and the governance of the condominium corporation. • To abide by the Act, the regulation, the bylaws, the policies, and to have your family, tenants and guests do so. • To participate in governing the condo corporation (i.e. attend general meetings, information sessions and serve on the board or on a committee, vote). • To read the minutes of the general meetings and board meetings, the budget and financial statements, the corporation’s newsletter. • To express your views, provide feedback to the board when requested to do so, put any complaints or concerns in writing to the board for follow up. 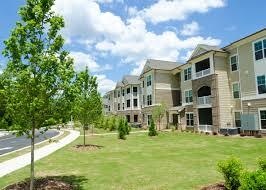 • To keep the board aware of circumstances in the condo complex which might affect funding or other decisions. • To maintain your own unit and any exclusive use common property. • To obtain insurance on your unit and your own belongings. • To pay all condo contributions and assessments on time. Every owner should have a copy of the condo plan, the bylaws, the Act and regulations. Owners can get a copy of the condo plan and bylaws from a registry agent. You will need to know the condo plan number (letters and/or numbers) to obtain these documents. You will pay municipal taxes on your condo unit. The current taxes should be noted in the purchase documents. It’s a good idea to double check with the municipal government to confirm the taxes. No one may enter your unit without your consent or without giving you proper notice unless there is an emergency. An emergency would include the provision of water, power, and heat or any other service that would affect other owners. If there is no emergency, you must be given at least 24 hours notice before someone can enter your unit to repair the problem. The notice must be in writing, state the reason for entry and set a date and time for entry. The hours for entry are between 8 a.m. and 8 p.m. If you want to rent your unit to someone else, you must inform the corporation in writing of your intent, your future address and the amount of the monthly rent. You must name your tenant in writing to the corporation within 20 days after the tenancy starts. The corporation may require that you pay a deposit that could be used to repair or replace common property damaged by your tenant. The amount of the deposit cannot be more than one month’s rent. If you do not pay your condo fees, the corporation can direct the tenant to pay all or part of the rent to the corporation to cover your unpaid fees. The tenant is bound by the bylaws of the corporation. If your tenant contravenes the bylaws or damages the common property or the corporation’s property, the corporation can ask you to evict the tenant. It can also give the tenant and you the notice directly. The Residential Tenancies Act may affect you and your tenant if you are renting a residential unit. If there is a conflict between the Residential Tenancies Act and the Condominium Property Act, the Condominium Property Act applies.